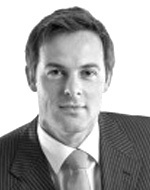 Freek Vermeulen is an Associate Professor of Strategy and Entrepreneurship at the London Business School. He relies on academic research to gain insight into how organizations really work. You might not think to begin with employee happiness, but you should.